Boston is an exciting concoction of history and the promise of a future that suits every expat's discriminating taste. The city is renowned for its vibrant neighborhoods and is sometimes called "city of neighborhoods", twenty-one of which are officially recognized including Back Bay, Allston/Brighton, Beacon Hill, Bay Village, Chinatown/Leather District, Charlestown, Dorchester, East Boston, Hyde Park, Kenmore, Jamaica Plain, Mission Hill, Mattapan, North End, Roxbury, Roslindale, South Boston, South End, West End, and West Roxbury. When packing to leave for Boston, it is wise to take note of the weather. The warmest days are experienced in July and the coldest in January. Spring can be warm, summers are typically warm and humid and winter chilly and windy. Essentials include rain gear, windbreaker, shoes with traction (because it can get icy), an umbrella, a warm coat and hat, parka, wind-proof gloves, scarf, long underwear, and waterproof, insulated boots or rubber boots. A few dinner outfits will come a long way as most upscale restaurants require formal wear from clients. A fanny pack or a belt bag can be great for sightseeing or shopping during one's first few days. Of course, in Boston, any camera will have plenty of uses. There is a myriad of things expatriates can do in this city where every second count when it comes to thrills. Great for family fun are the City walk sightseeing and group bus tours, the famous Boston Duck Tours, and educational exhibits at the Museum of Science where the kids can touch a lizard, watch hens hatching their eggs, see how lightning is created and witness other enthralling sights and events. For the lovers of great nights at the theater, the Blue Man group offers great shows as well, Of course, there is so much more to Boston and the rest is up to every exploring expat to discover. Museums and shopping centers cater to expatriates' varying tastes. The Freedom Trail will show the easiest way to bathe in Boston's sights and history. The conveniently accessible Quincy Market and Faneuil Hall Marketplace are ever bustling centers of the city where shopping and dining have never been more fun. Attractions in this city can never be quantified, but one thing's for sure; boring is the last thing Boston is. The city prides itself on its wealth of cultures brought on by its growing population of expatriates and fellow Americans from different States. Undoubtedly, it has turned into a major cultural center across the US. Sports play a major role in the life of a Bostonian, who is always proud of his major league baseball, national football league, national basketball association, and national hockey league. 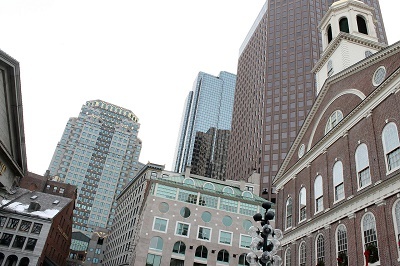 The religion most practiced in Boston is Roman Catholicism which has paved the way for a yearly event which happens June through September when people celebrate and honor several Roman Catholic Saints in the streets of the city's North End. 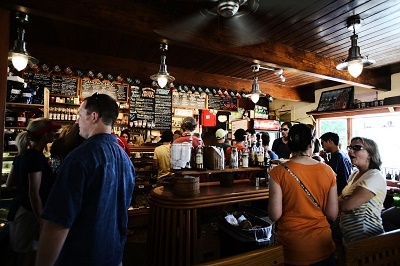 The culture of Boston shares many roots with New England, including a dialect of the Eastern New England accent popularly known as Boston English along with its incomparable slang that has existed for many years. Boston is an economically stable city that takes pride in its major industries including wool processing and the manufacture of clothing, textiles, shoes, and many leather goods. Because of this and the many other wonderful things that Boston is, no expatriate can spend a second regretting finding a home in this great, vibrant city. Indeed, many of them have joined native Bostonians and immigrants from across the country to make Boston one of the most favored expat destinations today. Shipping and removals to Boston are easy due to the city's major seaport and market in the shipping industry. Most removals companies can provide hassle-free shipping. But the overseas shipping cost will depend on how much load or items will be sent. Remember to only ship household goods duty-free, items that have been owned for at least a year and will not be used for resale. Shipping brand new items and gifts are dutiable. To get the best deal, one is advised to get quotes from reliable movers in Boston. Selecting the items to ship is not an easy task. It is important to note that the weather in Boston can be unpredictable. From December to April, the winter season can be very cold, so pack winter essentials such as heavy knit clothing, winter coats, socks, scarf, rubber soled shoes and globes. Boston summer is from late May to late September. Expats relocating to Boston should be best prepared with rain gear such as rainproof windbreakers and an umbrella. Those who need to bring medicines should not forget prescriptions or a written statement from a physician stating all substances are being used under a doctor's supervision. Boston is not only the largest and capital city of Massachusetts, but it is also one of the oldest cities in the United States. Expatriates love to live in Boston for its diverse culture that is overwhelming with a beautiful mixture of European and American traditions. As of 2016, Boston has total inhabitants of 7.6 million people making it the 6th largest city in the United States by population. It is also considered as the oldest and earliest established cities in the country whose founding day dates back to the year 1630. 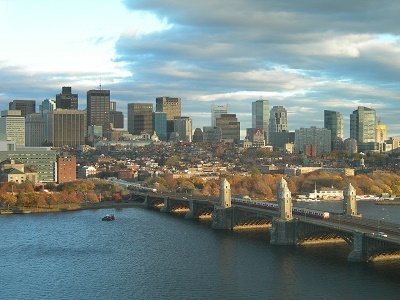 Many citizens of neighbouring states as well as of other nations choose to move to Boston because of its academic, medical and technological success. This booming capital of Massachusetts also has an excellent quality of life whereas residents enjoy low pollution, moderate cost of living, high level of safety and reliable health care system. Children will have no problem adjusting to a Bostonian lifestyle due to the city's youthful vibe. Parents will find comfort in relocating to an academically driven city that is host to the nation's best universities. Children of all ages are also sure to enjoy their time here exploring the many museums and attractions situated at the heart of the city. Boston prides itself with many museums geared to interest the minds of children such as the Children Museum that was founded in 1913 and is home to many collections including the New Balance Climb and the Kid Power Exhibit. Sports are the favourite past time of the locals. The city has harnessed home-grown talents like the Boston Red Sox. Kids will be thrilled to watch a Red Sox game at the Fenway Park. Other summer activities that kids enjoy include visiting the New England Aquarium, taking a bird's eye view of the city at Independence Wharf and hop on a boat at Boston Harbour Cruise. Parents, however, will not be short of low-cost activities for kids. Children will enjoy a visit to public libraries that host free kid-friendly movies and story hours. And last but not the least, nothing beats a day in the park having a picnic with families and friends. Boston Common is one of the oldest parks in America where kids can enjoy the playground, especially the bronze sculpture of mother duck and her brood of eight ducklings. Foreign nationals can drive a private vehicle in the State of Massachusetts up to one year from the date of arrival from the US by using his valid driver's license from his/her home country. Obtaining an International Driving Permit (IDP) is not required; however, the permit may help provide an English translation of the foreign license if not issued in English. Once the expatriate's residence is established in the state of Massachusetts, one must immediately obtain a driver's license from the Registry of Motor Vehicles. Compared to the other highways in the US, Boston’s does not follow the grid system. Driving with an own vehicle is not very much advisable in the city and foreigners are more encouraged to maximise the use of public transportation. This is because of the traffic congestion plus the hefty amount of city parking. When driving in Boston, expats should also avoid sending messages via their phones while driving (TWD) as it is considered an offence. Persons caught for the first time need to pay USD$100- 250.00 while the second and third offence penalty cost around USD$300.00. Boston’s warm and friendly people would certainly make expats moving to Boston feel right at home. Dubbed as the "The Athens of America", this city is also is considered as the country's most European city due to its compact size, quaint architecture and acres of green open space. Boston's versatile architectural landscape provides enough space for the city's passion for sports. Bostonians' deep passion for their sports teams is unwavering. Their respective home teams are: Red Sox for baseball, New England Patriots for American football, Bruins for hockey, and New England Revolution for soccer. The great ethnic diversity of Boston can be culturally distinguished by the residents' peculiar accent in speaking. Expatriates in Boston will find Bostonians English mixed with slang words. The consonant "r" usually sounds like "ah" (i.e. "car" is pronounced as "cah"). Expats living in Boston who are looking for nightlife may somehow be disappointed. Boston's nightlife has a reputation of closing up early; bars wrap up 1 am or until 2 am. Bostonians prefer a more relaxing evening than partying. There is a citywide ban on smoking in Boston; hence, expats in Boston should avoid smoking in most business premises, restaurants and bars. Many of the best things in life are found in Boston – climate, quality education system and culture. The only hurdle for many expats must be the accommodation which is at most expensive and expats must get a high-paying job to afford a well-structured home in the city. Expats will also be jam packed with many activities which would prevent them from focusing more on a hard time adjusting in the city.